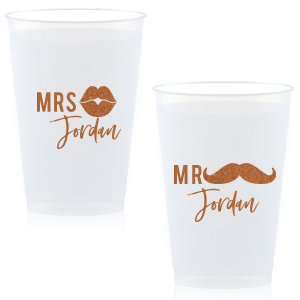 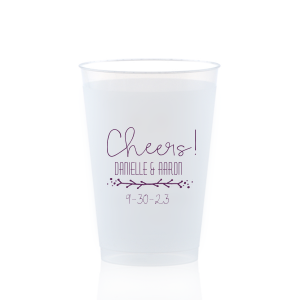 Celebrate the soon-to-be bride and groom in style with personalized bachelor and bachelorette party 12 oz frost flex cups! 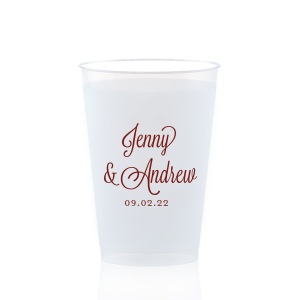 Choose the perfect design from our curated galleries or upload your own design. 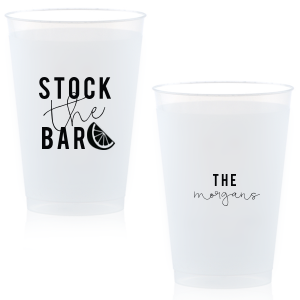 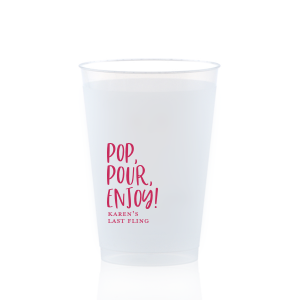 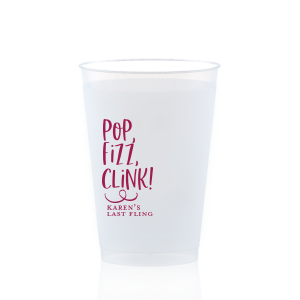 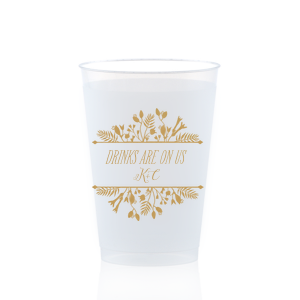 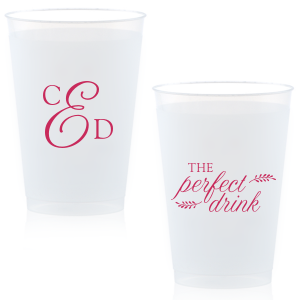 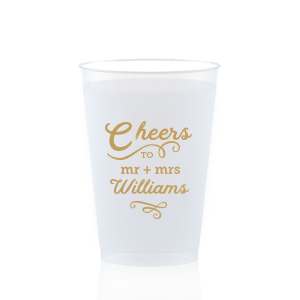 Your party guests will love these durable and classy personalized party cups. 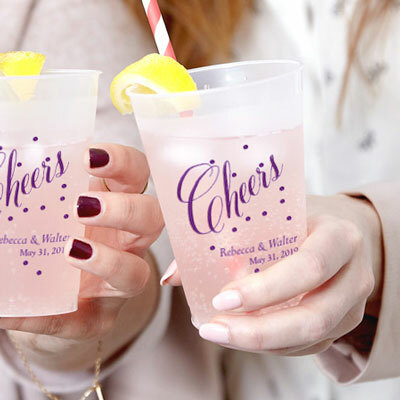 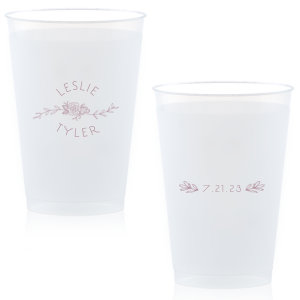 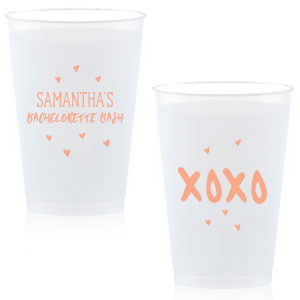 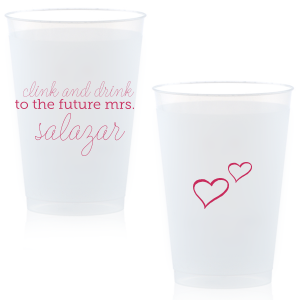 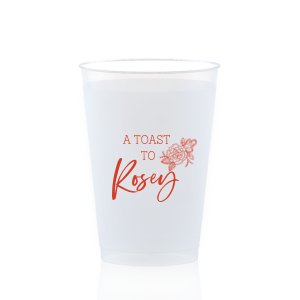 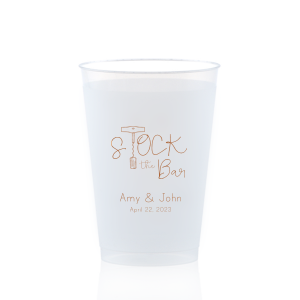 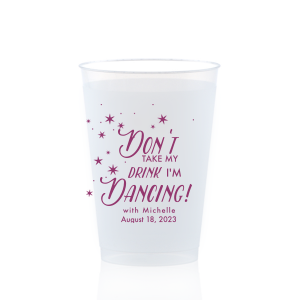 Add an extra layer of elegance to your bachelor and bachelorette parties with personalized frosted 12 oz plastic cups. 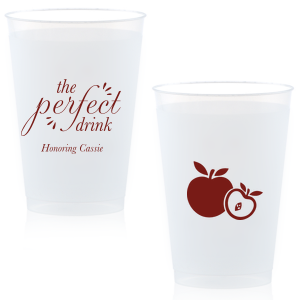 Your signature cocktails will look especially tasty in custom designed bachelor/bachelorette 12 oz frost flex cups. 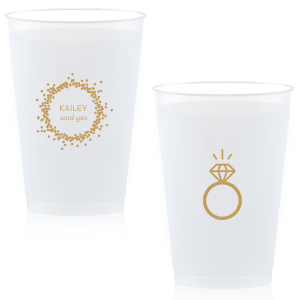 Create your unique personalized design by browsing our curated galleries of designs or creating your own style. 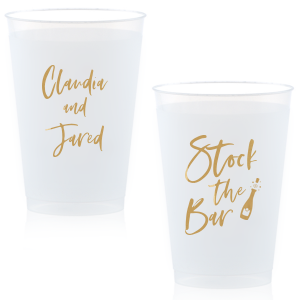 Choose a classic design that says “almost married” or opt for a clever “wife of the party”— you're sure to find the perfect look for your personalized bachelor & bachelorette party 12 oz frost flex cups. 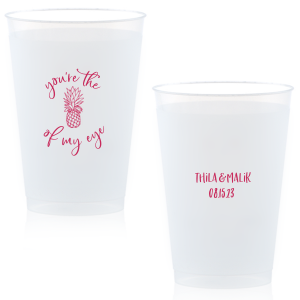 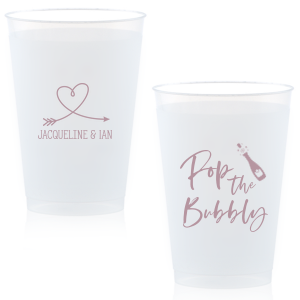 BPA free, reusable and recyclable, your custom designed bachelor/bachelorette frosted plastic party cups are even an environmentally conscious choice. 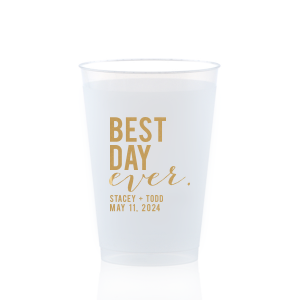 Create your personalized frosted 12 oz cups today!